~ by admin on Jun 29, 2008. 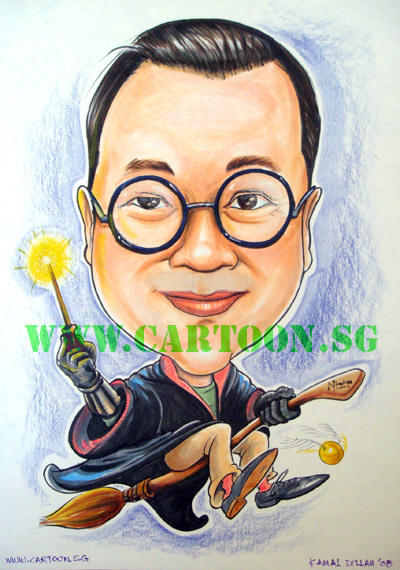 This is a gift for a retiring colleague who is a big fan of Harry Potter. We drew him playing Quidditch with the coveted Nimbus 2000 broom stick.